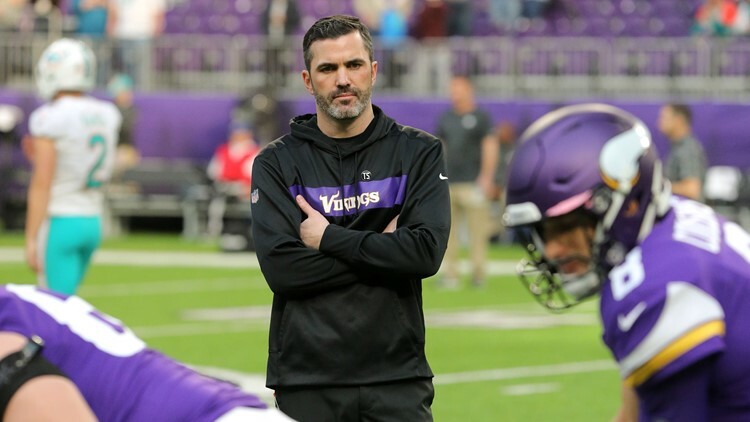 Minnesota Vikings interim offensive coordinator Kevin Stefanski was the latest candidate to interview for the Cleveland Browns' head-coaching vacancy. CLEVELAND — The Cleveland Browns’ search committee continued doing their due-diligence while looking for the next full-time coach, and the process continued Thursday when Minnesota Vikings interim offensive coordinator Kevin Stefanski was brought in for an interview. 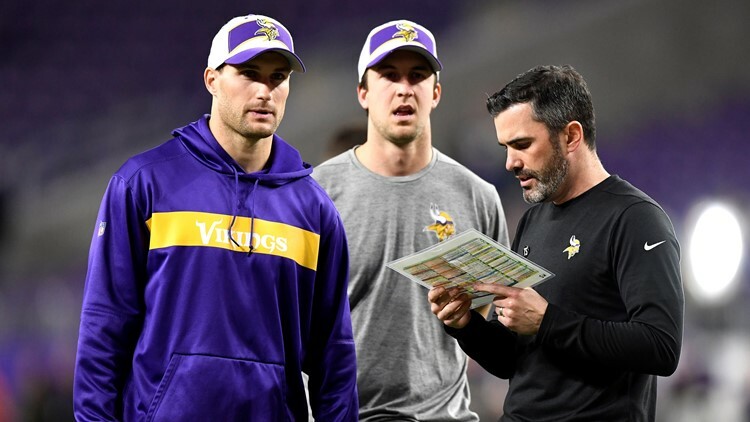 Minnesota Vikings quarterbacks Kirk Cousins (left) and Trevor Siemian (middle) meet with position coach Kevin Stefanski before the game against the Green Bay Packers at U.S. Bank Stadium in Minneapolis, Minnesota on November 25, 2018. Stefanski is the third interview candidate confirmed by the Browns this week, along with current interim coach/defensive coordinator Gregg Williams and Jim Caldwell, the former coach of the Indianapolis Colts and Detroit Lions. Williams interviewed for the full-time opening on Tuesday, and Caldwell followed on Wednesday.